Let's have a summer of love in 2018! Welcome to a new Campaign - absolutely new! 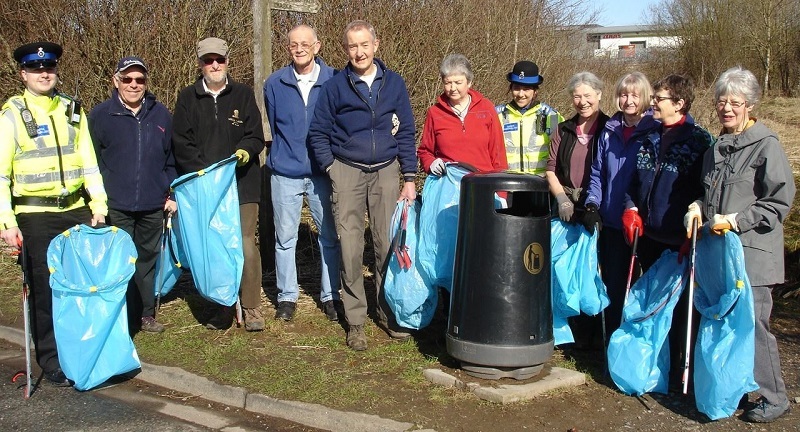 Reducing plastic is the aim, but at the moment it is littering our streets and open spaces. Not only is it a hazard, but areas of Penrith have become an unsightly mess. This summer we hope to promote action to make a difference. Competition now closed - thanks for all the entries. 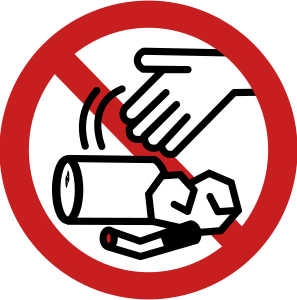 Can you come up with a short and snappy design for an anti-litter sign? We've got permission to erect anti-litter signs. For schools and young people. 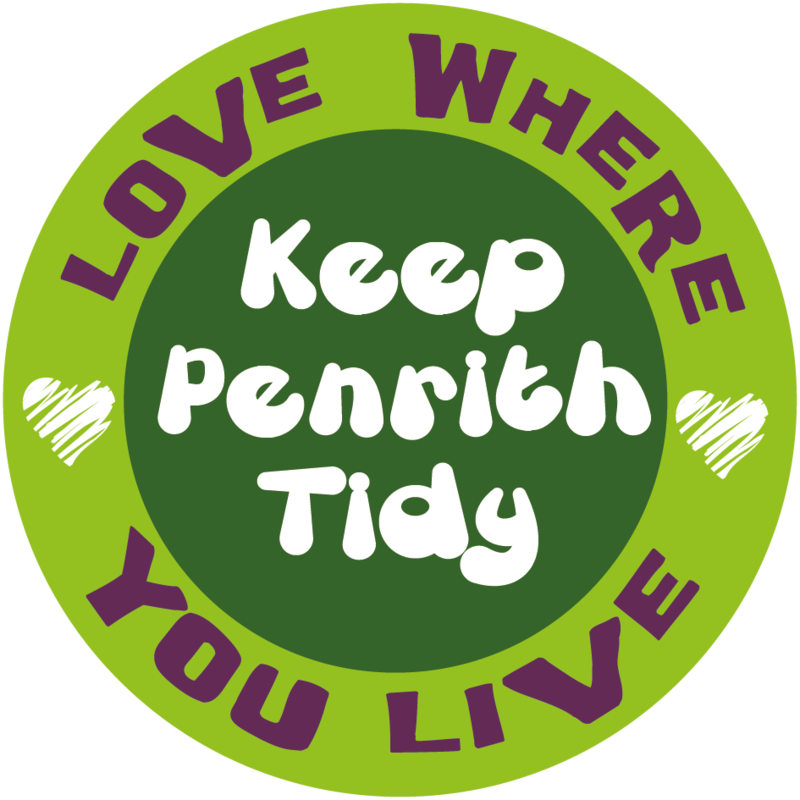 We've already been liaising with businesses in Penrith who have pledged support for the campaign by keeping the front and back of their premises clean - with window stickers to prove it. 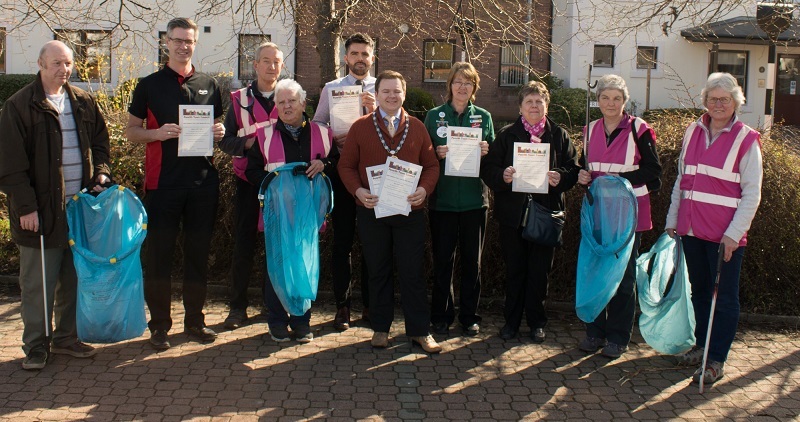 The mayor of Penrith presented certificates to six of our larger companies, congratulating them on tidying up! We will going into schools for assemblies and whole class lessions on anti-littering. We plan to have an anti-litter display in the Devonshire Arcade. We've support from the public and the business community - and financial support with a grant from Cumbria County Council - thanks! Thanks to PACT for helping to make this project happen. Please contact Joan Robinson on 07754773701 or send us a message.